By Indian mythology, one refers to worldviews that emerged in the Indian subcontinent (now increasingly referred to as South Asia). What makes them unique is the belief in rebirth. While in Abrahamic mythologies, you live only one life, and you want to live it the right way, aligned to God’s way, in Indian mythologies, this life is only one of many lives you lead. You are an outcome of previous lives. The world around you is the outcome of previous events. This makes the Indian mythic universe very fluid and the worldview rather unique. To appreciate Indian mythology, it is important to understand the clash of civilisations. The assumption for most people is that the whole world thinks linearly, shaped by Abrahamic myths, or even Greek myths, which are also linear, believing in one life ending with either Asphodel, Tartarus or Elysium. But that is not the case. Different worldviews means different ways of looking at the world, different values, different goals, different approaches. The Indian worldview informs Buddhism, Jainism and Hinduism. Here there is no fixed beginning like Genesis and no fixed ending like Judgement Day. The world is said to have no beginning or end. Every creature is unique depending on the burden of actions of past lives and so the world is full of diverse creatures, who are born and who die, like waves in an ocean. Here, God is not creator, at least not in the biblical sense. 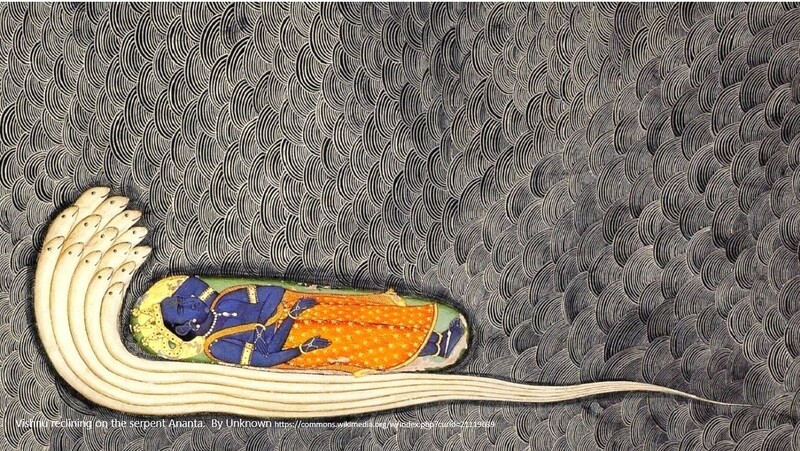 The most popular creation myth in Hindu texts (and there are many) describes God, Vishnu, as a sleeping being whose awakening causes the world to bloom, and whose slumber causes the world to wither. Once bloomed, the world goes through various eras, just as a child goes through childhood, youth, maturity and old age, before dying and rebirth. There are endless cycles, each with four eras. In Jain mythology, each of these cycles gives rise to 24 great teachers known as Tirthankaras, 11 great kings known as Chakravartis and 9 violent heroes known as Vasudevas, each of whom has a pacifist brother known as Baladeva, and an enemy called Prativasudeva. 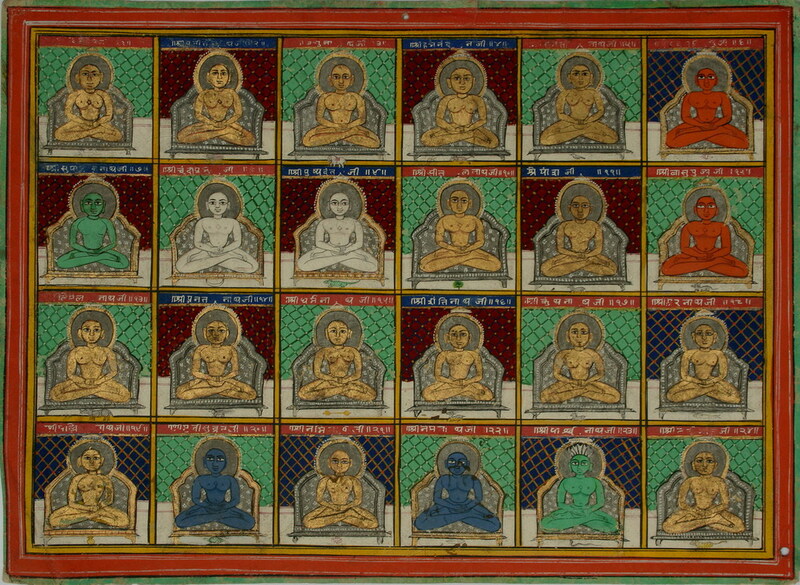 The last of these teachers in the present cycle was Mahavira, who preached the doctrine of plurality and non-violence. He was a contemporary of the Buddha. 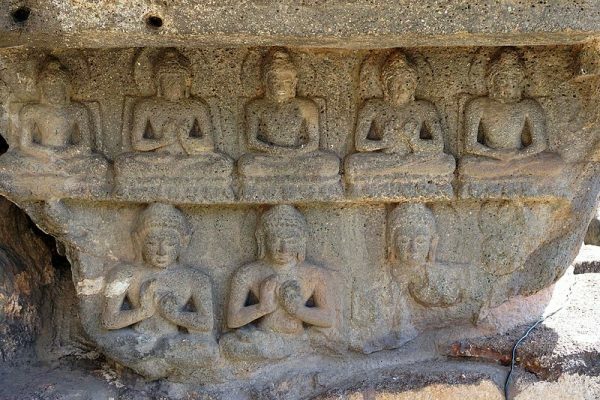 Historians tell us that Buddha lived 2500 years ago. However, in Buddhist lore, there are infinite Buddhas in infinite worlds, one in every cycle. There were Buddhas before and there will be Buddhas later. The Jatakas speak of a man called Dipankar who went through 550 lifetimes, as human, animal and plant, accumulating merit through acts of compassion before becoming the historical Buddha. In the future, there will be another Buddha called Maitreya. Hindus believe that Vishnu, after he wakes up, takes up various mortal forms to help humans find meaning in the world. This meaning comes from outgrowing our animal nature and discovering our human potential. Animals live by the law of the jungle known in Indian mythology as ‘justice of the fishes’ – big fish survive by eating small fish. But when human society mimics the animal kingdom, when the strong ‘feed’ on the weak, it is a sign of failure to realise our humanity. This is adharma! Dharma is discovering the human ability to help the helpless, create a world where the strong take care of the weak. Vishnu walks the earth as Ram, the king, and Krishna, the cowherd, to show the world how to live a life of dharma. His story is told in the epics Ramayana and Mahabharata. But human life will always be at odds with nature. We can change ‘our’ world but not ‘the’ world. And while individually we may succeed in outgrowing our animal nature, people around us may not. And so we cannot change the world. We may transcend the cycle of rebirths through wisdom, but the world at large will go with the flow, rise and collapse as the waves of the ocean. And so Indian mythologies do not speak of saving the world, a theme that forms the bedrock of biblical mythology. God sends messengers after messengers, prophets after prophets, to save humanity from sin. God judges on Judgement Day, a concept conspicuously absent in Hinduism, Buddhism and Jainism. All we have is the account book of our karmic burden that decides the life we live, that we can change through awareness and informed action. And if we don’t, there is another life, another chance. Forever. 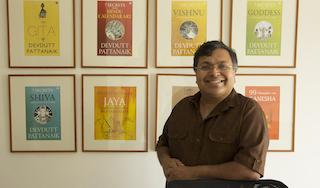 Devdutt Pattanaik writes on relevance of mythology in modern times, especially in areas of management, governance and leadership. Trained in medicine, he worked for 15 years in the healthcare and pharma industries before he focussed on his passion full time. He is author of 30 books and 600 columns, with bestsellers such as My Gita, Jaya, Sita, Business Sutra and the 7 Secret Series. He was a speaker at TEDIndia 2009 and spoke on ‘Myths that Mystify, East versus West’. His TV shows include Business Sutra on CNBC-TV18 and Devlok on Epic TV. He consults organisations on culture, diversity and leadership and also consults various television channels and filmmakers on storytelling. Farming in British Folk Tales: Respect or Revenge?